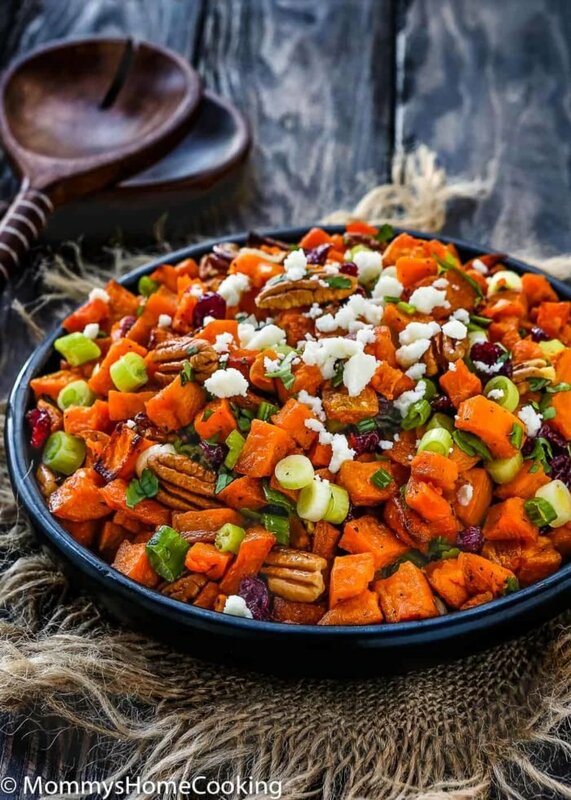 This Festive Roasted Sweet Potato and Cranberry Salad is oh-so-good!! Simple ingredients, loads of flavor, but best of all, it’s easy to make. 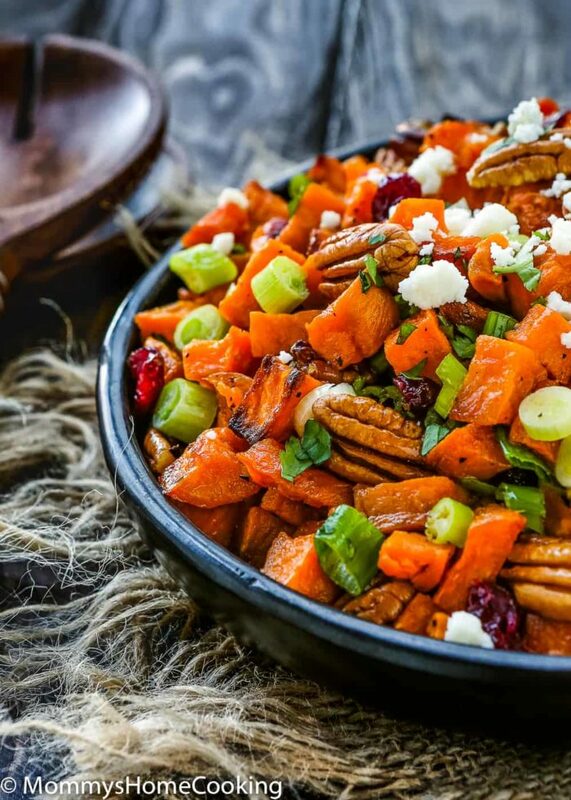 This Festive Roasted Sweet Potato and Cranberry Salad is oh-so-good!! Are you ready to celebrate Thanksgiving? I think this year I am in so much better place than previous years when It comes to planning. 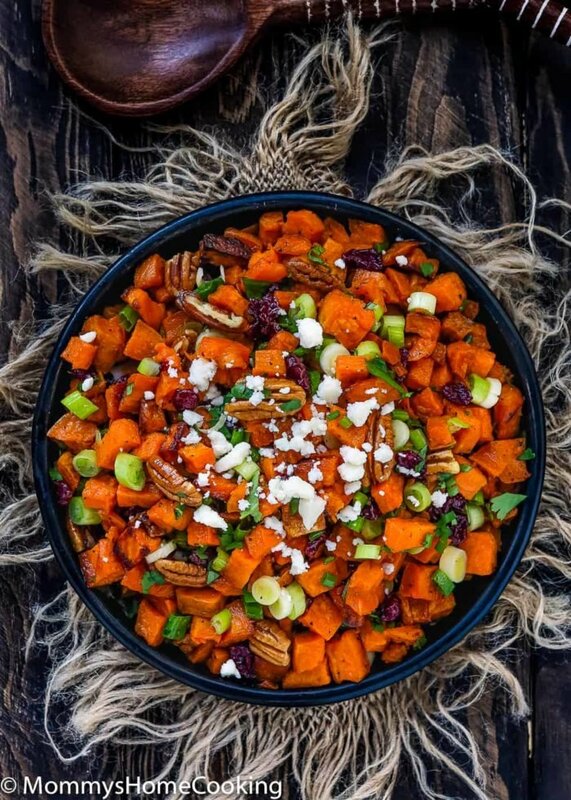 I already know what I am going to cook, and you can bet this Roasted Sweet Potato and Cranberry Salad will have a special place in my table. 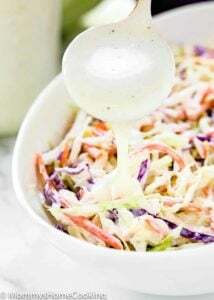 When I first made this salad, it almost went unnoticed… Can you believe it? 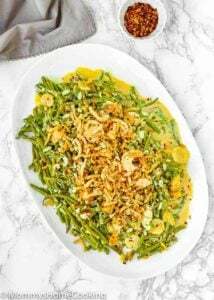 I knew my kids wouldn’t eat it because of the green onions, a.k.a “the green thing”, but as soon as my husband and I started digging into this colorful salad we couldn’t stop. We didn’t expect to get all excited over salad, but that’s what happened. 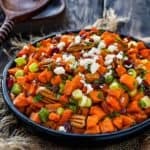 This Roasted Sweet Potato and Cranberry Salad is a thrilling blend of flavors, textures and colors. 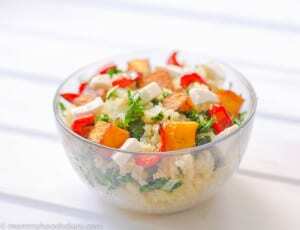 The individual flavors of this salad go so well together, it is as if they were meant to meet. It’s absolutely delicious and It will leave you feeling satisfied. Preheat the oven to 400° F. Line a baking tray with parchment paper. Mix the sweet potatoes, olive oil, salt, and pepper. Place the mixture on the tray and roast for about 20 minutes, or until the sweet potatoes softens. Remove from the oven and let cool down slightly. You can do this one day in advance. 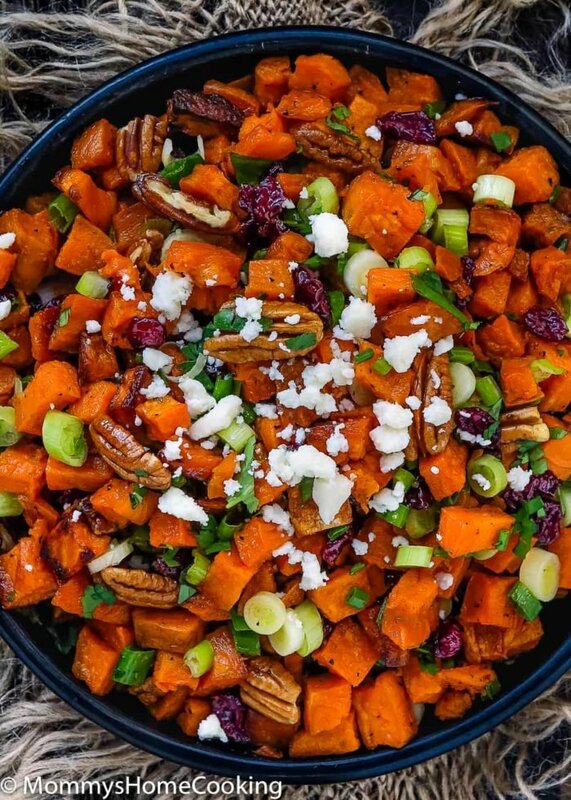 In a large salad bowl, toss together the roasted sweet potatoes, green onions, pecans, and cranberries. Garnish with chopped cilantro and queso fresco. Dress with Maple Vinaigrette to taste. You can also dress the salad with just olive oil, if you prefer. Your photos are beautiful. What lens and camera do you use? This salad looks delicious. I can’t wait to try it. I love the cranberry and sweet potato combo, so earthy with tartness and yum! Hello Racheal! Thanks so much for your kind words. I use a Canon 5D mark III and my favorite lens is 24-70mm f 2/8. 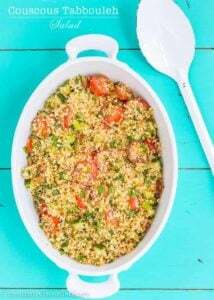 Hope you give this recipe a try soon ???? 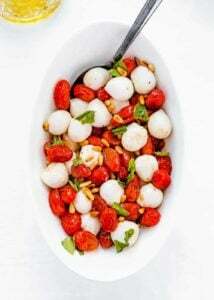 I will have to make this salad for the family. We love sweet potatoes. It looks so delicious. This is definitely going to be a side dish for our thanksgiving feast! The colors and flavors looks outrageously delish!